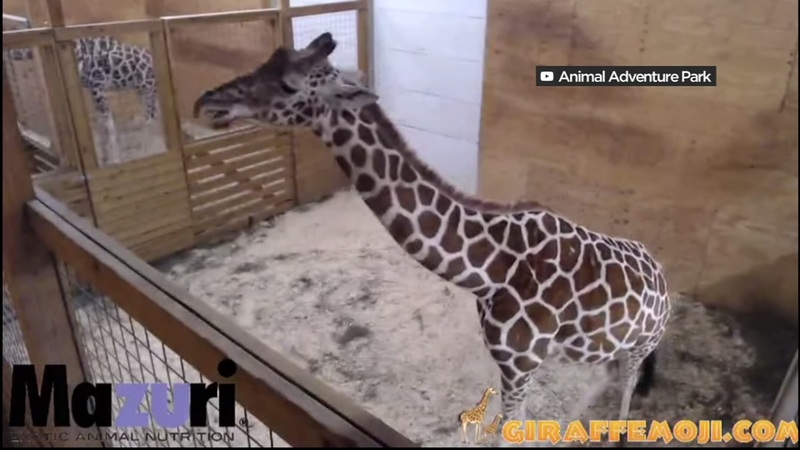 NEW YORK (KGO) -- April the giraffe is expected to give birth soon at Animal Adventure Park in New York. April is 15-years-old and it's her fourth baby. The gestation period is 13 to 15 months for a giraffe - so they carry their babies a significantly longer time than humans. The babies are about six feet tall at birth. Tens of thousands of people have been watching the livestream that went up last week, but some animal activists complained it was "sexually explicit" and it got taken down. But, it's back up the stream is back up as she gets closer to the big moment. Click here for more stories and videos on animals. To see the park's live feed on YouTube click here.